For Assignment, Linda Pressly explores the rifts and sexual politics challenging Thai Buddhism and its devotees. 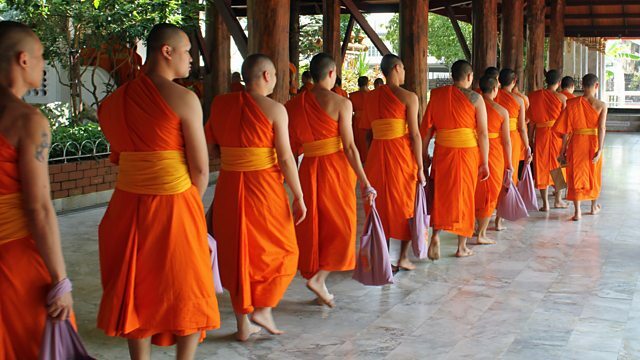 An unholy spat is stirring the Sangha, Thailand’s top Buddhist authority – who will become the next Supreme Patriarch, Thailand’s most senior monk? Meanwhile, allegations of ‘cheque-book Buddhism’, cronyism and corruption abound – including allegations about tax-evasion on an imported vintage Mercedes car. Watching quietly from the side-lines are the women who shouldn’t be there at all... For Assignment, Linda Pressly explores the rifts and sexual politics challenging Thai Buddhism and its devotees.